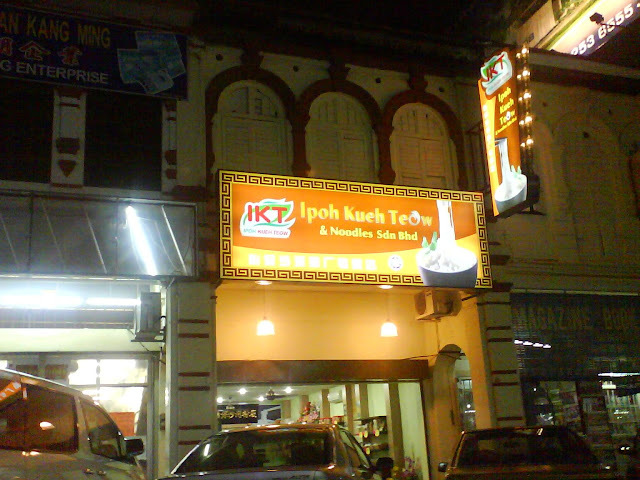 Being one of the most popular Chinese primary schools in Ipoh, Yuk Choy has gone through a century since its establishment on year 1908. And I am the student of Yuk Choy Primary School from 1981 to 1986. It started with few classrooms at the beginning of 20th century near Lahat Road. Later moved in to a piece of land at upper Hugh Low Street, which is the current location. From several wooden structures, which I used to study in, it transforms in 1990’s into few blocks of concrete building, including the great hall, and become one of the best equipped schools in town. There is not a single classroom building that I studied in before remained at present. All the memories of my early schooling time are stored in my mind & it can only be seen in few photographs that I am still keeping now. It did not come to my mind that vases can be used as street decoration. 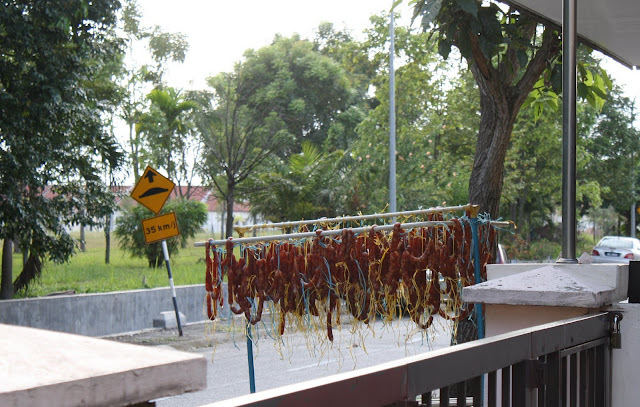 In fact the outcome of this idea is marvelous because it brings up the unique local product of Perak state. Each of these vases has a bulb within & displays an attractive scene when lighted up at night in sync with the lighting effect of trees. 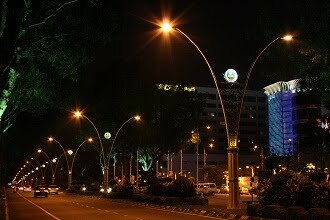 The vases are placed along Gopeng Road from the roundabout to the flyover crossing Tiger Lane at about 2km away. 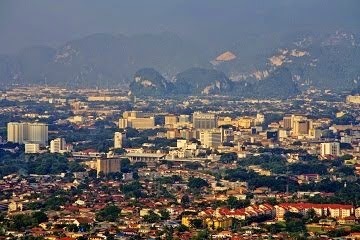 Skyscraper is very limited in Ipoh. All high rise buildings here are controlled at certain height (if not mistaken, approximately 150m) due to the nearby airport & surrounding hills. Therefore, we seldom look for tall manmade structures as landmark for direction or to estimate the distance to destination. The only easiest recognizable manmade structures are these communication towers on Kledang Hill. 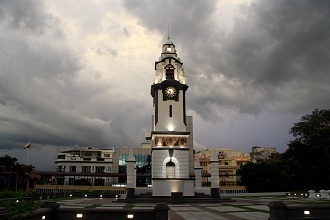 Although it is not built to be special, unique or outstanding but I believe any Ipoh citizen should be very familiar of its existence & unconsciously recognize it as a landmark of the city. 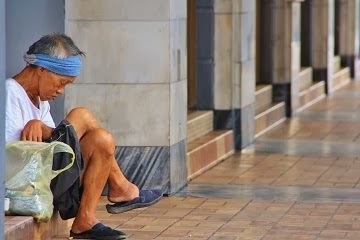 The worst time of economy crisis may have gone. Compare to last year, Chinese New Year decorations appeared to be more & earlier. 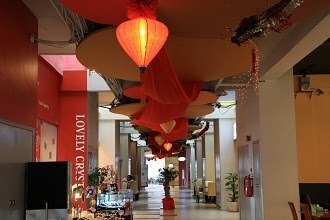 Many houses, shops, offices, malls, restaurants & even streets are seen to have the most typical CNY decoration, red lantern. It was raining the night before. 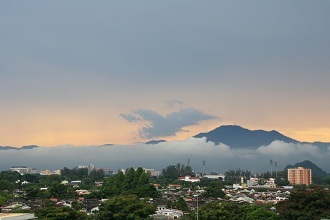 Some thick clouds were still surrounding the mountain range at dawn. Just minutes before the sun rising from the horizon, it’s ray shining on the clouds and creates reflection like flame in the sky. This scene normally last for only few minutes. 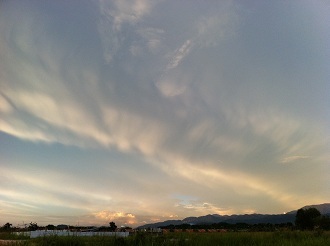 While the sky gets brighter, the golden clouds would revert to be ordinary white clouds. Sungai Pari Towers is one of the oldest low cost flats that built & managed by the Ipoh City Council. I can’t really get its exact year of completion but should be in the early 1970’s. 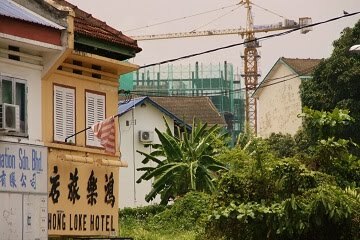 It used to be the tallest building in Ipoh, probably the first high rise building & therefore gain its nick name as “The 15-Storey”. 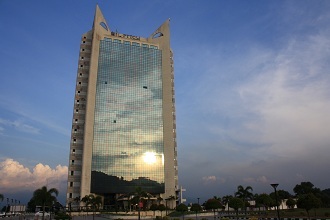 It is later surpass by other hotel & commercial buildings, especially by another low cost flat, Kinta Heights, which also known as “The 20-Storey” that rose around year 1983. Sungai Pari Towers has been poorly managed for many years. It looked old & some facilities are not in proper condition. 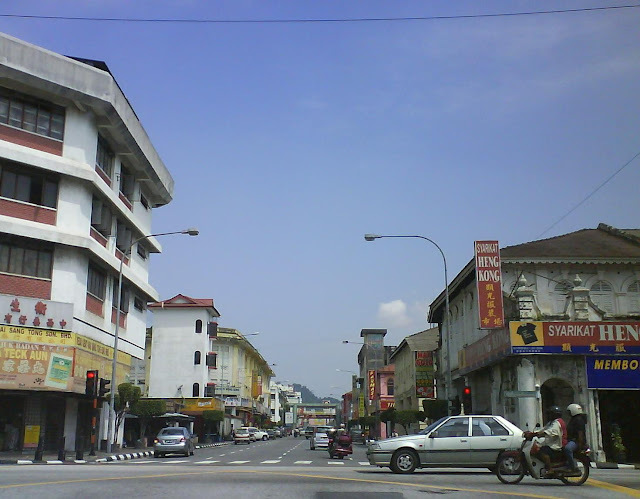 The session of Cockman Street (Jalan Dato Oon Jaafar) between the junctions of Hugh Low Street & Brewster Road is always a congested area where the Central Market is the major contributor. 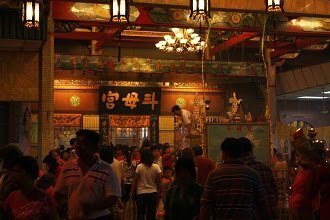 Traffic will become worst during Chinese New Year because there are many shops of prayer goods & new year decoration. It is beyond dispute that Cockman Street is one of the busiest streets in town. It was even more congested at 1990’s before the closure of Super Kinta Department Store, which was the hottest shopping center in the Central Market building. And the first McDonald’s is open right opposite to it. 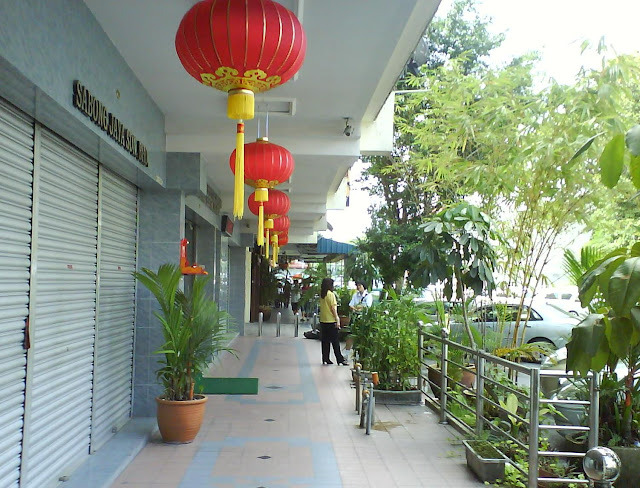 However, since some modern shopping malls opened at the city outskirts, popularity of Cockman Street dropped drastically. Now it is basically a hub for traditional businesses. 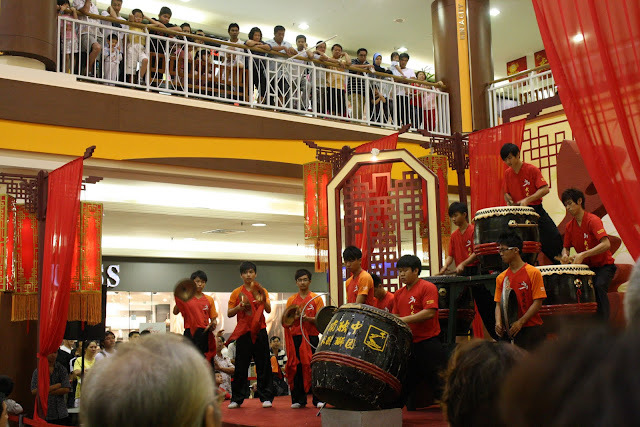 There was a short drum performance held in Kinta City Shopping Center last night as a public attracting event to the Chinese New Year sales. It was performed by a group of student from Poi Lam High School and had shocked the floor with its 10-minute show. 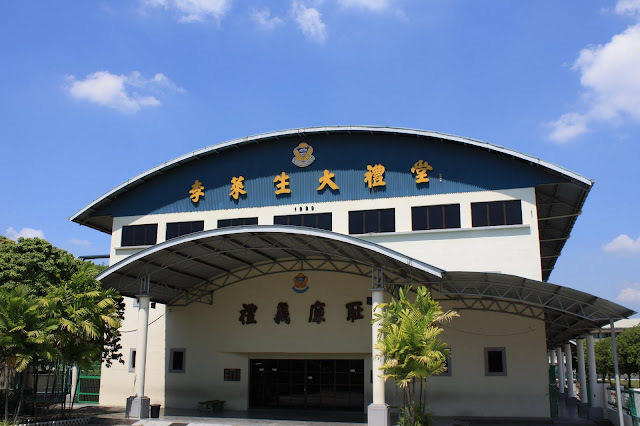 Anglo Chinese School (ACS) is one of the earliest established schools in Ipoh. The main building marked with the year of completion 1895 has stood here at Lahat Road for more than a century and has been declared as preserved heritage building of the city. Rain is sweeping from right to left in this photo. The warm afternoon ended with a heavy rain which brought the temperature down in the valley. I can see from this higher ground of Buntong village, the high rise buildings that used to be in sight are missing in the water curtain. 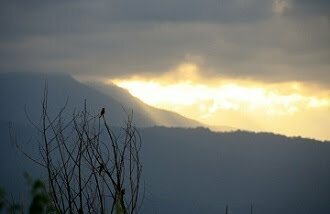 The sunset looked softer today in a cloudy sky. Despite raining in the afternoon, the weather does not turn cool because the earth had stored a lot of heat during the past hot days. Anyway, the extreme weather had brought me down to illness yesterday. 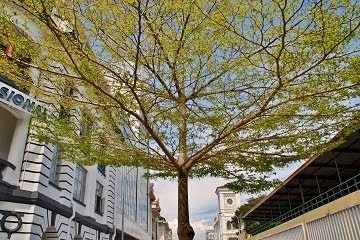 This is a place previously called “Hill Top” which located at the meeting point of Hugh Low Street & Ali Pitchay Street. I believe it gots this name because of its higher ground. There were hawker stalls selling food at “Hill Top” under the tree, which appears in the right side of this photo. Nowadays, hawker stalls have moved into the shops but the open space dining still available. I used to be hanging around for food during my schooling time because my primary school is just steps away from here. Whenever I back to dine here, it recalls my memory of childhood. Normally locations that are close to the exit of expressway are strategic points for commercial properties. 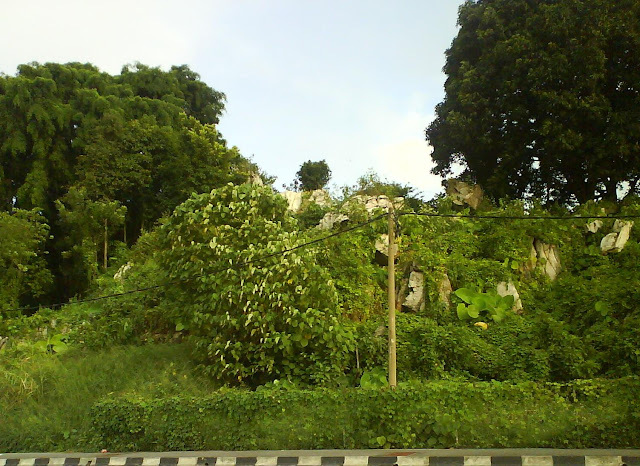 Somehow it is kind of waste for this piece of land to be occupied by giant rocks while it is just a kilometer away from the exit of North-South Expressway at Kuala Kangsar Road. The scattered rocks seem to be side product of quarry activity in the past. 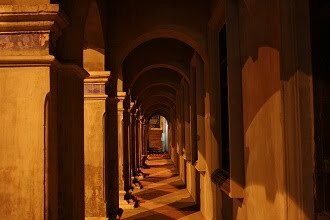 St Michael Institution is a famous school in Ipoh, not only of its academic achievement but also its beautiful Victorian design building. 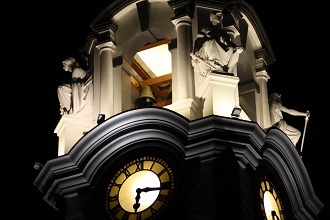 This is one of the heritage buildings of Ipoh which is almost the same age to other popular heritage buildings, such as, Town Hall, Ipoh Railway Station & High Court. 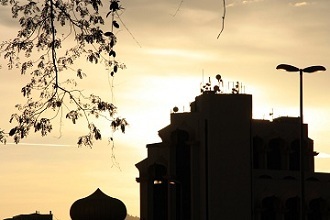 It is located right opposite to Ipoh Padang, the most popular spot for city’s public activities & celebrations. Its field has been many times used as the launching base for fireworks during New Year & Independence Day countdown. 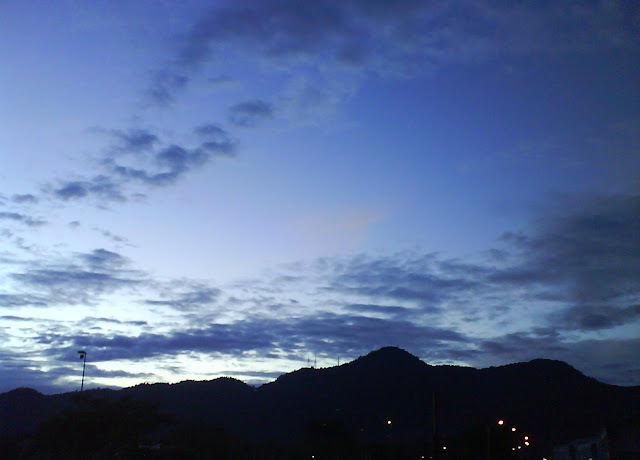 17-Jan-2009, the first photo is posted in this blog, and it is now 1 year old. 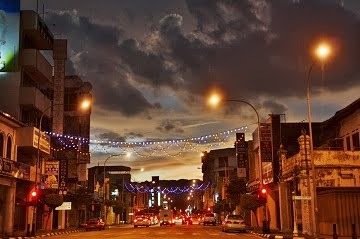 I hope the readers of this blog enjoy the photos & the beauty of my lovely hometown, Ipoh. I also wish to thank all of you on supporting this blog. It is normally hot weather during Chinese New Year. Seems like the raining season is over and we can feel the weather is getting warmer. Although it becomes cloudy in the afternoon but always ends up with no rain. 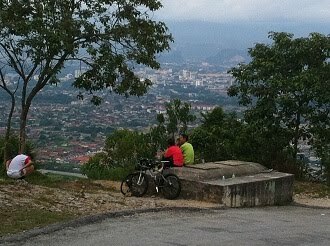 High rise condominium building is not popular in Ipoh because Kinta Valley has the sufficient land for the moderate population. Therefore, landed properties are always the choice of local citizen. Damai Puri is one of the few well known condominiums in the city which located off Kampar Road, strategically next to luxury mansions. It was planned to be a 12-block community, but after the objection from local residents, it had been amended to be 5-block high end condominium. Just opposite Kinta City Shopping Center, the newest shopping arcade, De Garden is now open. 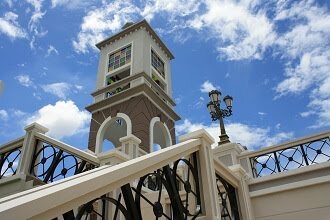 Its concept is slightly different from the usual shopping mall in Malaysia, which is not an enclosed building but is an arcade with beautiful landscape surrounding. 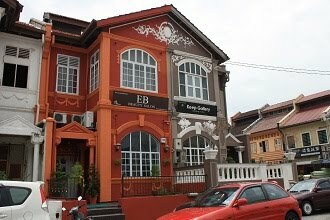 This is the first of its kind in Ipoh and I am quite amazed with the unique design although is just a 2-storey building. 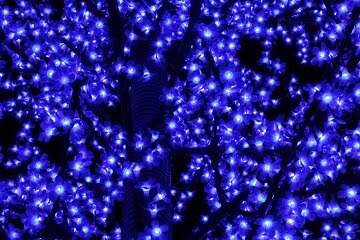 The most attracting part is the lighting decoration at night. Lights with different colours gradually change over time making the arcade a wonderland. 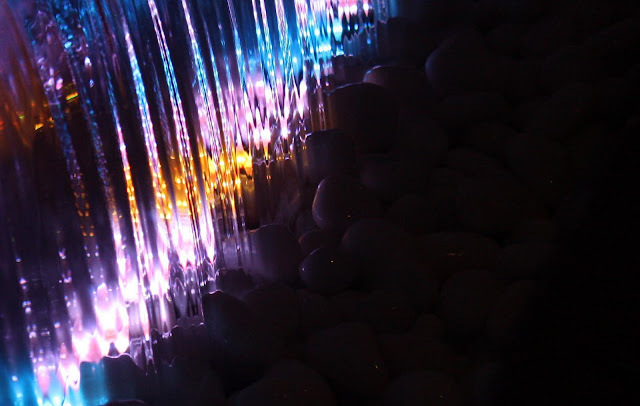 Decoration pools with water curtain shines like crystal under the colourful lights. I really feel good walking in this environment. However, there are only few shops operating at the moment. Anyway, I believe De Garden will soon become an attractive place for leisure, shopping & dine in. Hor Fun, in Cantonese (also called Kueh Teow in dialect of Fujian / Hokkien), is a kind of flat noodle which is commonly found throughout Malaysia, Singapore as well as Hong Kong. This particular manufacturer, Ipoh Kueh Teow is making exceptionally good noodle with extraordinary smoothness & stiffness. 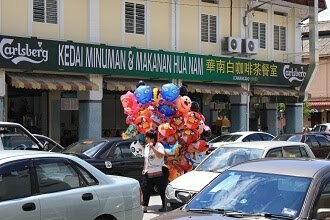 It used to supply Hor Fun to many stalls / restaurants around Ipoh and also other towns, but retail shop was not available. 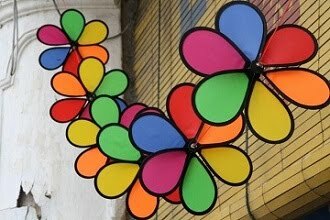 Recently the manufacturer opens a shop at Yau Tet Shin Street and promoting the sales to the public. 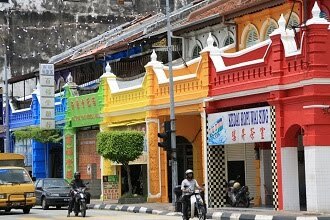 More importantly, this is the location of many Ipoh famous local foods that attracts tourists & visitors. Probably this is a right move to enhance the marketing strategy to capture a wider range of customer by distributing to restaurants and also retailing. Nevertheless, its outlook is also upgraded to promote branding, as we found the similar trend on many other local products. Weather in this evening is kind of weird. After a long hot day, it was heavy rain & strong wind at Silibin when I left the factory. But when I drove further away from there, rain is getting smaller & I can see water evaporating from the hot road surface creating a scene of “steamed road”. 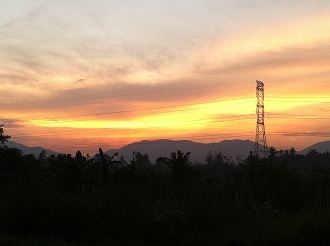 Just after a few kilometers of driving, I reach Jelapang with no sign of rain at all, but with warm sunshine. 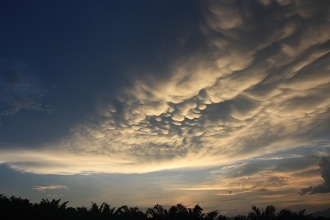 When reaching Klebang, I can see the clouds are like an orange blanket and I believe the rain had stopped. It is so common to see people capturing photos with SLR camera. The price of one unit is becoming more affordable nowadays, especially the entry level models. Advertisements that promote SLR camera are seen everywhere. I had been hoping to own one and continue my wish to capture nice scenes & great moments. After thinking repeatedly, I finally made up my mind in the PC Fair (IT Fair) to indulge myself with a Canon EOS 1000D. Wow!! Somehow I shall spend some time to pick up the application of this camera & I hope I will have better images for sharing in near future. By using the simplest auto mode of the new camera, I took photos of the equipment I use so far for photographing, an Olympus m700 and as simple as a mobile phone Sony Ericsson W580i (or I like to call it Laura, its name during development / industrialization) that equipped with camera. I am not sure how the demand of budget hotel in Ipoh is, but I find it is like growing mushroom after a rainy day. More and more are operating either at downtown or at the outskirts of the city. This is one in larger scale, which will be a 7-storey building with almost hundred rooms. 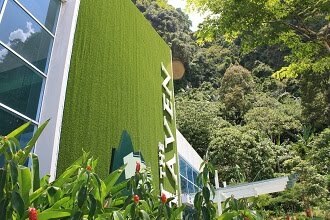 The hotel is located at the middle of a triangle section in the city surrounded by Chamberlain Road, Pasir Puteh Road & Tokong Road, but only reachable by smaller access roads from these main roads. It seems that it will share the piece of cake with nearby competitors such as Ritz Garden Hotel, Lucky Hotel & Fairmont Hotel. Friday is the end of a working week for most of the people. 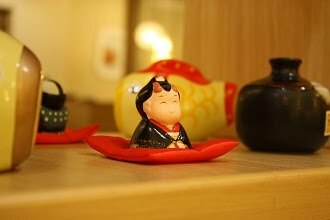 I believe many are driving home or heading to restaurant with relaxing body but exciting mind. 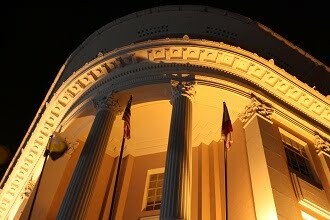 It’s already dark at Falim & street lights had been turned on. 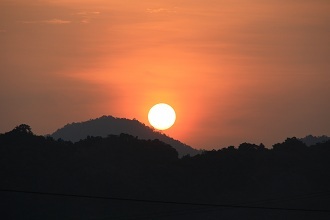 The last sun beam would soon fade from Kledang Hill and it simply means the joyful weekend would start, too. After being abandoned for some time, Lam Looking Bazaar is now under restoration without much change at its outlook. You could find my earlier post in 21-January-2009 about its poor condition at that time. Although I don’t know what it would be utilized for, but am happy to see the new owner intend to remain the building’s original structure & design. I wish there will be well-managed tenants move in that would regain its attraction to the public, not repeating the unfortunate fate like Yau Tet Shin Market (a famous shopping complex in 1960’s-70’s) which had been demolished many years ago by the city council. The newly completed commercial blocks and retail shops that is just next to The Casuarina Hotel, so called One Casuarina. The two 6-storey main blocks are facing Gopeng Road (Jalan Raja Nazrin Shah). One is occupied by the developer while another block houses a recreation club. Shops at its back many are still vacant, only a Japanese restaurant & a Muslim restaurant are open for business. A sculpture, which I believe to be made in bronze, is placed at the main entrance. 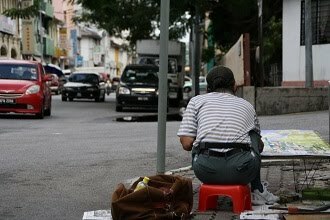 Such concept has been quite commonly presented in cities around the world but it’s only kind of a beginning in Ipoh. The weather of the first day of year 2010 is good. 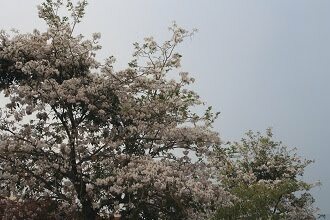 It’s cloudy and breezy. Although a bit humid, but still consider comfortable to have a walk in the park. Polo Ground (Sultan Abdul Aziz Recreation Park). 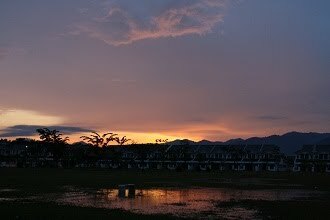 It’s location, which only takes approximately ten minutes of driving from Ipoh city center or Ipoh Garden, making it one of the most popular spots for outdoor activities. They are people jogging, playing football, exercising and also kids playing at playground. The view of the big green field, rows of tree and the lime stone hill background is marvelous. Polo Ground is simply a good choice within the city for fresh air & relaxing environment.